Clean dealer and welcoming environment. Trenton Hyer is the salesman who works with me. Had a great but short afternoon shopping my new car with great efficiency and worry-free experience. Definitely worth a five star! When I went to search for a car Ceylan gave me valuable information, opened my eye. She is very confident uses high technology and makes it very easy process. I recommend her to anyone with a heart beat. My wife and I just bought a new Hyundai Santa Fe from this dealership. Everyone we dealt with was exceptional, Especially Micah, Our sales person.I really believe their goal is to make every customer feel special and they certainly treated us that way. Customer service at this location is amazing! The entire staff,management and Micah went above and beyond. Not what I expected with a dealership! Truely enjoyed buying my first car from McDonald Hyundai. Sales Associate Adam Levine was awesome. I will recommend him to anyone I know interested in buying from McDonald. Great service, great cars, great sales team. I personally was helped out by Darin Palombo. He made the test drive comfortable along with the actual process or buying the car once I made the decision. 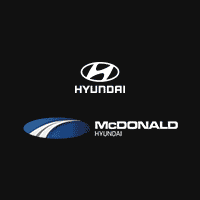 I spent the entire week looking around at different dealerships and ended up getting the better prices along with better communication at McDonald Hyundai. Thanks Darin!